1 : 2350000 Tanner, Henry S.
1 : 13800000 Buchon, J. A. C.; Carey, H. C.; Lea, I. 1 : 1320000 Lucas, Fielding Jr. 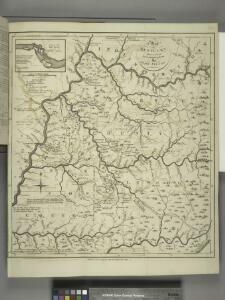 Description: from The American geography; or, A view of the present situation of the United States of America: containing astronomical geography; geographical definitions, discovery, and general description ... By Jedidiah Morse, A.M.